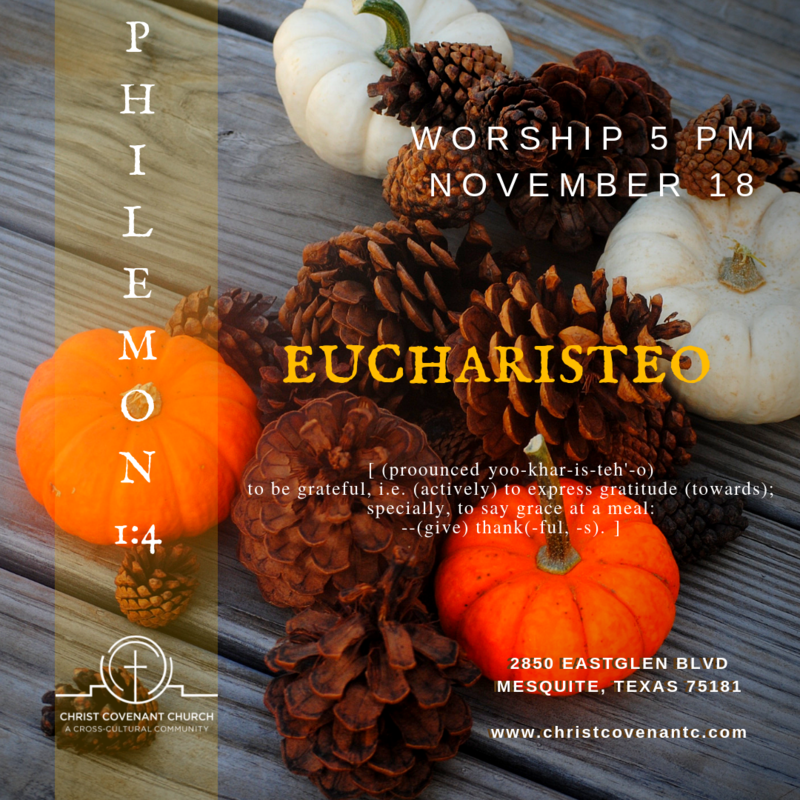 Join us for a service of thanksgiving for thanksgiving. Grace to you and peace from God our Father and the Lord Jesus Christ. I thank my God always when I remember you in my prayers, because I hear of your love and of the faith that you have toward the Lord Jesus and for all the saints...For I have derived much joy and comfort from your love, my brother, because the hearts of the saints have been refreshed through you.